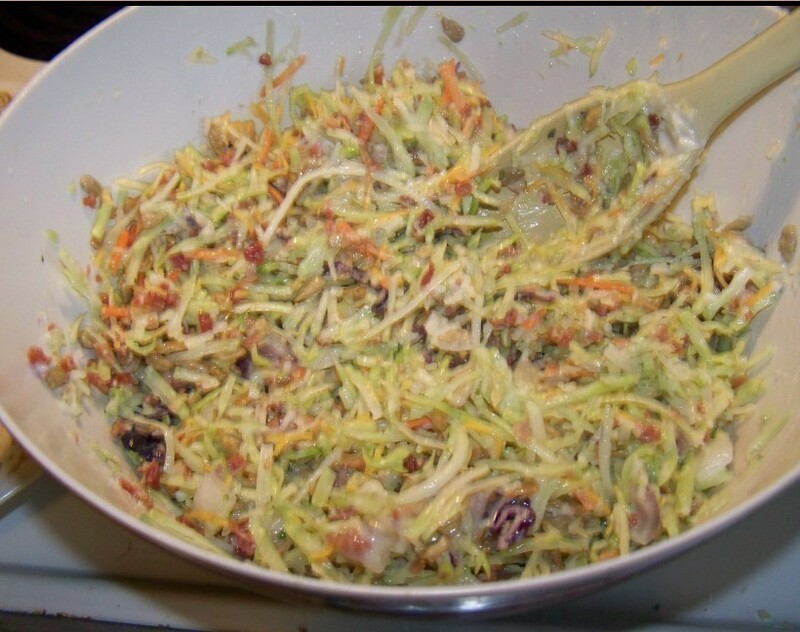 Good way to sneak in broccoli to a meal that kids will eat and it is quick and easy to make. It is best if made the night before and allowed to sit for the dressing to seep into the other ingredients. 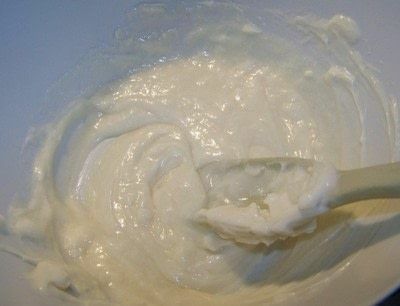 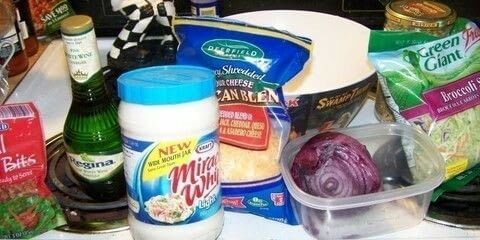 Mix the Miracle whip, sugar and vinegar together in a large bowl and mix thoroughly. 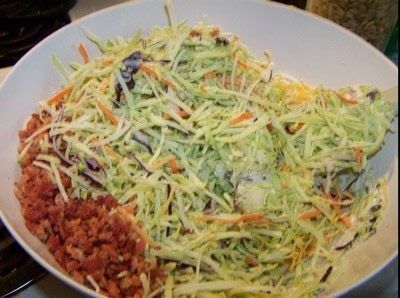 Add in the packaged broccoli slaw, bacon, sunflower seeds and toss until mixed, then put in the fridge until ready to be served.